Beirut (AFP) - Top Islamic State group commander Omar al-Shishani has been "clinically dead" for several days after a US air strike in northern Syria, a monitoring group said Sunday. "Shishani is not able to breathe on his own and is using machines. He has been clinically dead for several days," said Rami Abdel Rahman, head of the Syrian Observatory for Human Rights. Abdel Rahman said the notorious red-bearded commander, known as Omar the Chechen, was in a hospital in the northern province of Raqa, IS's bastion in Syria. A US official said on March 9 that Shishani "likely died" in a barrage of US-led air strikes on March 4 in northeastern Syria. The official branded Shishani "the ISIL equivalent of the secretary of defence", using another acronym for the group. Abdel Rahman at the time said the jihadist had been "seriously injured" in the strike on his convoy, but that he had not died. 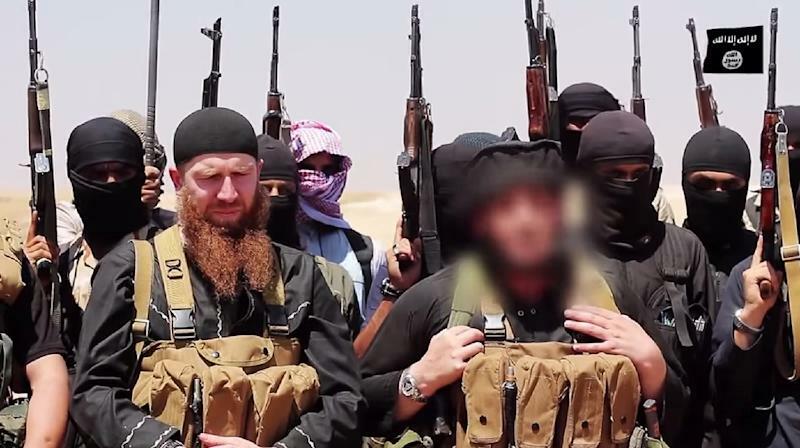 Shishani was one of the IS leaders most wanted by Washington, which put a $5 million bounty on his head. Shishani comes from the Pankisi Gorge, a mainly ethnic Chechen region of ex-Soviet state Georgia. As early as May 2013, when IS was just emerging in Syria, he was appointed the group's military commander for the north of the country. While Shishani's exact rank is unclear, Richard Barrett of the US-based Soufan Group has described him as IS's "most senior military commander", adding that he has been in charge of key battles. Shishani is not, however, a member of IS's political leadership, a structure that is even murkier than its military command. The lack of a US presence on the ground makes it difficult to assess the success of operations targeting militants in Syria, and Shishani's death has been falsely reported several times.